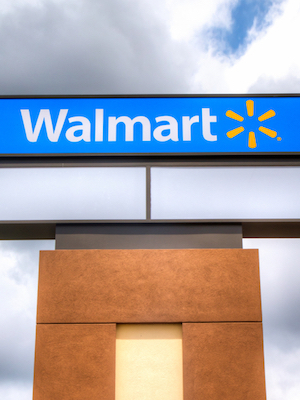 SCRANTON – A woman is suing Wal-Mart for its alleged violation of the Family Medical Leave Act, claiming that the company was outside of its rights to deny her leave. Victoria Eyler filed a complaint on Dec. 7 in the U.S. District for the Middle District of Pennsylvania against Wal-Mart Associates Inc, alleging violation of the Family Medical Leave Act. According to the complaint, Eyler was employed by the defendant in 2013, a year after her mother's diagnosis with renal failure and coronary heart disease, both debilitating and serious conditions. Due to her mother's health, the plaintiff was required to assist her, thus taking time off through the FMLA. In October 2014, the plaintiff filed a request for intermittent leave, beginning in September 2014 and extending until March. Although the company attempted to accommodate the request initially, toward the end of the period the plaintiff allegedly was denied the leave and terminated in December 2014. Eyler is suing the company for alleged interference with and violation of the FMLA. Eyler is seeking compensation for all wrongs committed and all legal fees. She is represented by David M. Koller of Koller Law LLC in Philadelphia. Want to get notified whenever we write about Koller Law LLC ? Sign-up Next time we write about Koller Law LLC, we'll email you a link to the story. You may edit your settings or unsubscribe at any time.